Night time in Bryce doesn’t bring on sleep for most. Here people get up and head out to capture some of the most amazing night skies in the US. Full moons bring about a different kind of experience by setting a soft glow to the already stunning red rock formations in the park. 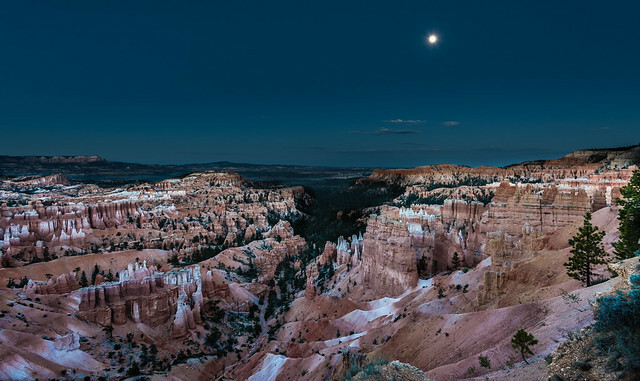 Moonlit hikes are a popular and fun activity in Bryce Canyon.